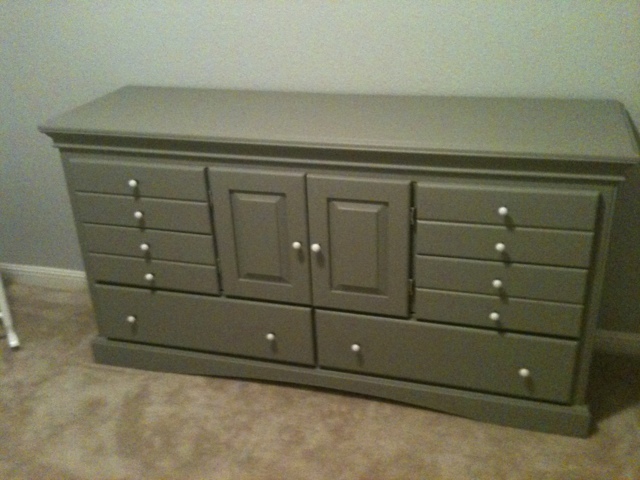 We finished another project for Brady's room today. We bought some flash cards at Anthropologie and put them on a board we already had. I love how it looks in his room. It's actually a decoration on the wall!!!!! It's coming together! That's a great thing. We are only 10 weeks out from my due date. We celebrated Father's Day today. Even though Brady isn't here yet, I still consider Manny to be a dad already. 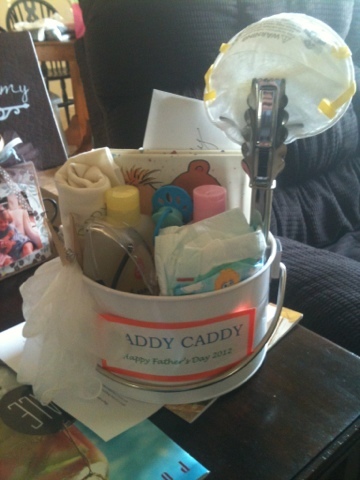 I found an idea on pinterest for a daddy caddy. I loved the idea. I put one together for Manny. I did get him an actual gift. He's wanted a new wallet for a while so I stuck that at the bottom of the caddy. He thought it was pretty funny so I guess that means it was a success. Some of the things we had laying around the house so it was easy to put together. Of course let's not forget to give a shout out to my dad! I didn't get to see him today. He's been crazy busy with work. 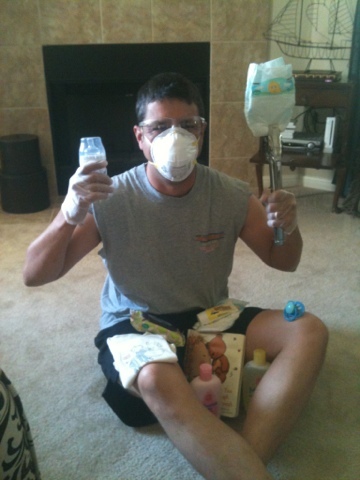 Happy Father's Day!!!! We also hung the shelf in Brady's room. It's all coming together!!!! 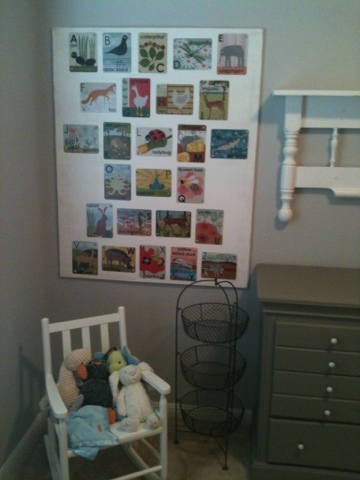 Another piece of Brady's nursery is completed. Manny and I bought this from Craigslist for $50. 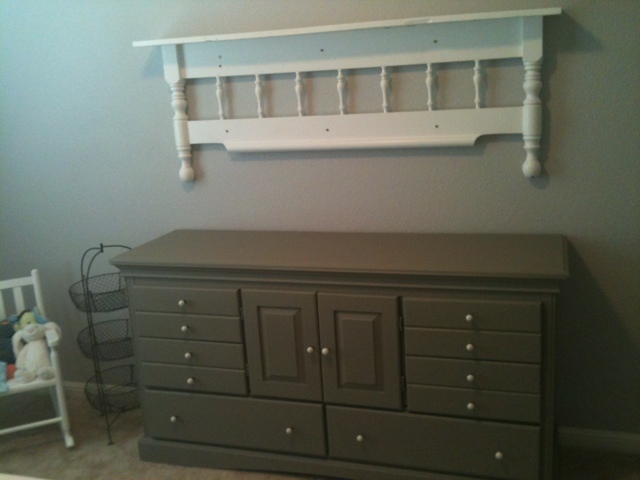 We painted it with French Linen Chalk Paint and put some cute white knobs on it. 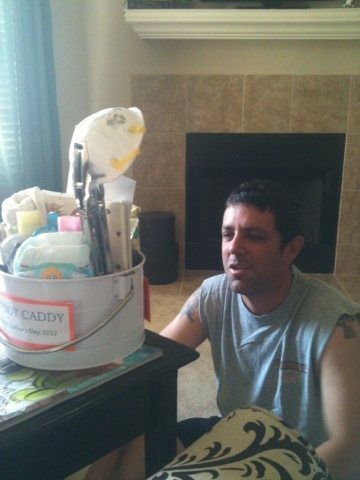 We are going to use it as his changing table. So all we need is the changing pad and I'm envisioning some cute bins and baskets to hold diapers, powder, and other things of that nature. We are going to hang the "footboard shelf" hopefully tonight. So stay tuned!!! A few weeks ago, we celebrated my mom's 50th birthday. Her group of friends always celebrate birthdays but when it's your 50th they tend to make it bigger. We had a fiesta theme on the lake at Sandra and Garland Braun's house. We ate, some enjoyed sangria, and talked. It was a really nice night. Here are some pics of the evening. Can you tell that she was excited about this gift. She got an air compressor. The only other person I have seen act like that when they got an air compressor is Manny. My mom will use hers for reupholstering and things like that. She loved it. It was a great gift from all of her friends.